From pocket sundials to GPS watches, we’ve encountered more than our fair share of portable timekeepers in our years, but some of these watches have proven to be above the ordinary. I’m not referring only to concept watches, or watches made with special designs and features, but to the watches that take so much time, energy, and resources to produce that there’s no way they can be sold for cheap. With the rise of the wristwatch, as well as the rise of the expensive wristwatch, we have seen some interesting armwear make its way to the Christmas lists of the rich and famous. But what are these watches, and how much do they cost? What, indeed, are the world’s most expensive watches and wristwatches? In this article, you’ll find some of the world’s current outlandish watches and what they currently fetch at market value. Sold in 1999 at an astounding auction price of $11,002,500, Forbes Magazine reports that this is still the most expensively-purchased watch in history. This pocket watch is made from a yellow-gold structure and has 24 functions, reportedly taking about four years to build. Compared to the Henry Graves, this pocket watch is a bargain-bin dweller, but I hesitate to use “bargain-bin” in the same sentence as the price of this watch: $5,002,500. This white-gold pocket watch is considered even more complicated than the “Supercompilation” listed above; at 33 functions, this watch predicts sunrise and sunset and tells time in different time zones. Though, for $5,000,000, I’d rather just look in the sky to see when the sun is setting and do the math for converting time zones. Imagine wearing $4,026,524 on your wrist and you have an idea of what it’s like to own the Platinum World Time by Patek Phillipe, considered to be the only of its kind ever made. Sold in 2002, this watch is casual enough to pass for, say, a $3,000,000 watch. If you’re saying to yourself, “wow, this watch has a two-million dollar name,” you weren’t far off. Fetching $2,899,373 in 2006, this yellow-gold wristwatch features a map of North America in the middle of its clock. What about the watches not sold at auction? The aforementioned watches all have something in common – they’re extreme rarities that most people don’t have access to, with many bought and sold at high-priced auctions. Though the common “working man” still won’t have much access to any of the watches on these list, there are some watches that are less rare and, hence, less expensive. Here are some of the watches which are more “commonly” available – although you’ll have to accept that “common” is a loose term here. A Swiss jeweler is making watches from pieces of the Titanic. You read right: they’re making watches out of a sunken ship that still lies at the bottom of the Atlantic Ocean. But they’ve made more than one, and so these watches aren’t exactly 8-figure purchases, but they’re still extravagant. One of these will set you back $152,435. A 95%-pure platinum case drives the prices up on these watches, which pushes them up to $320,000. The detail on these watches are impeccable, with manually-wound hands made from blued-steel that give the watch part of its glossy finish. A hand-engraved image of the solar system sets the background for the clock itself. Alligator leather, an 18-karat silver-gold dial, a pink-gold buckle, only seven made: sounds like a formula for a super-expensive watch. The price for these comes in at about $1.5 million, but don’t discount the work that went into these watches. Over 10,000 man hours sculpted and put together 834 parts to create this beauty. 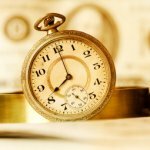 Believe it or not, there are plenty of other watches that belong in this elite class of “the world’s most expensive.” With many types of watch – from the super-rare seen only in auctions to the kind still leather-bound you can wear on your wrist – available, there’s something for everyone in this list. Provided, of course, that you have a few million dollars to spend. Who Owns the Best Watches? How Many Parts do Watches Have? Where Are The Best Watches Made?